Armored Brigade is out and wargamers around the world are thankful during this season of thanks. It is an adult sized toy chest filled with wargaming goodness for those of us who enjoy gaming a fictional World War III. The forces that you have at your fingertips never really fought each other. A lot of the actual weapons did fight each other, but mostly they were in the hands of different troops. Many of the Middle East conflicts had these same weapons in use. The sheer scope of this game is pretty amazing. I will have quite a few links at the end of the review because this game has had more buzz about it than any game for a good long time. The first thing you need to know about the game is that it comes with fifteen scenarios. This game is the ultimate sandbox for wargaming the last years of the 20th century in parts of Europe. The player has a tremendous amount of variables to use in making his various scenarios. From what I have read there will be DLCs with more player ready scenarios and possibly campaigns. The second thing you need to know is that this was a free download game for a long time. What you need to know about this is that this game in its core resembles the free game. In reality the game has come a long way since then. 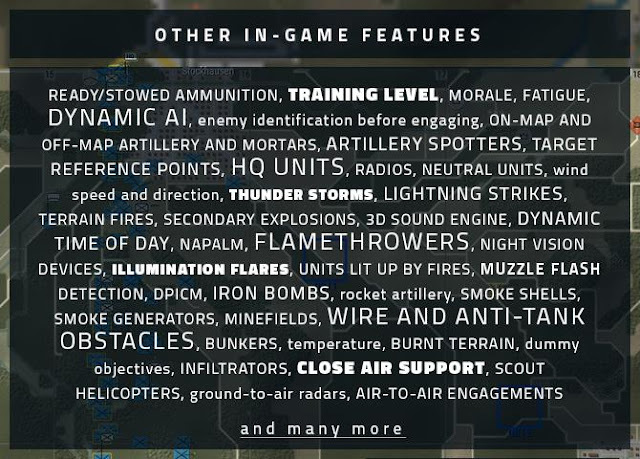 You can see by the list below what is actually included for the player to use in their scenarios. Below that you will see the seven nations that are included with the game. 1. A human player sometimes makes some incredibly foolish, or if you will stupid, moves that take you by surprise. If an AI is not done right it will make stupid moves, but they will be logical stupid moves not illogical. 2. A human player will sometimes game the system by using bad or incomplete rules to win a game by completely non-historical or insane means. What I mean by this is games that allow a regiment of AA to take a city the size of Moscow. 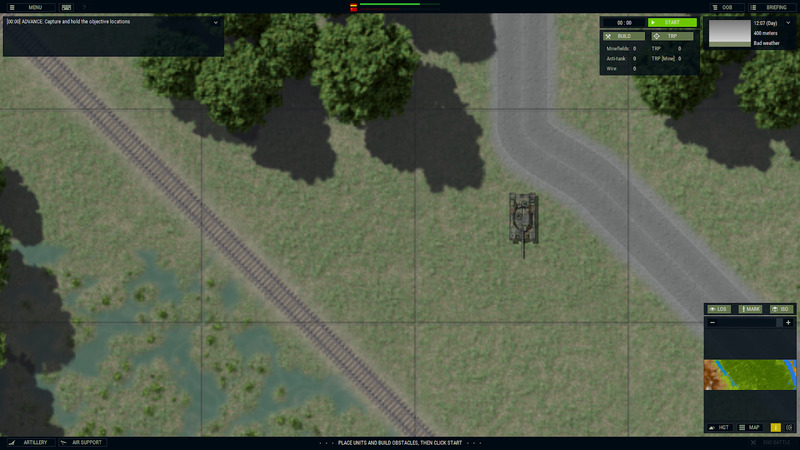 The AI in Armored Brigade is done well enough to keep the average wargamer on his toes. It will not (no AI will) be competitive to a gamer who plays one game sixteen hours a day for a month or two. I will say if that is your life, you are not a wargamer, just a person in need of a new hobby or something. Most of us have only limited time to play our wargames. If we are lucky we might get in up to four or five straight hours in a week. I also suspect that many are like myself and play different games pretty much each gaming session we can cram in, meaning that most of us do not play enough of one game to find the AI's pattern in them. Are there games out there with bad AIs, yes. Is this one of them, no. The defense rests. So, the salient parts of the game are this. It is single player only (gasp from the audience). On the other hand, I have seen it posted in articles that as low as 10% of all gamers play multiplayer. It comes with only fifteen preset scenarios. I would have liked to see more, and maybe at least one campaign added. I am not a fan of the DLC model that computer games are heading in. I do understand the higher costs companies are dealing with and why the DLC model is probably necessary. However, that does not mean I have to like it. On the plus side you have a robust AI. The mission generator is one of the best as far as ease and amount of variables a player can use for his scenarios. I do believe by all the buzz that we will be able to choose from a large amount of player made scenarios. Matrix/Slitherine has developed or been involved with a lot of videos to explain most of the game's rules etc. With these, any player who has any questions can get playing in no time, although I did find the game to be intuitive and started playing right away. The scope of the weaponry and troops goes from 1965-1991. With this game you have a very large sandbox for battles in the late 20th century in a lot of Europe. The maps can vary from extremely large to very small to represent any size combat that you want. As a player, you can send orders to different parts of your own force to help with micromanagement. As for the AI on your side please see above. If you are a micromanager, the game allows you to play that way also. 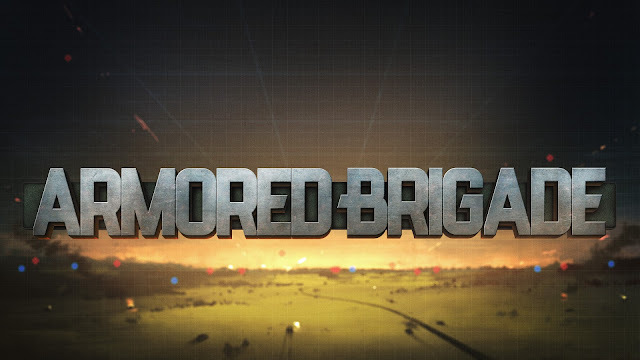 It is an RTS, but I wish we would come up with a different moniker. RTS always leaves a bad taste in my mouth and brings visions of Command and Conquer to mind. 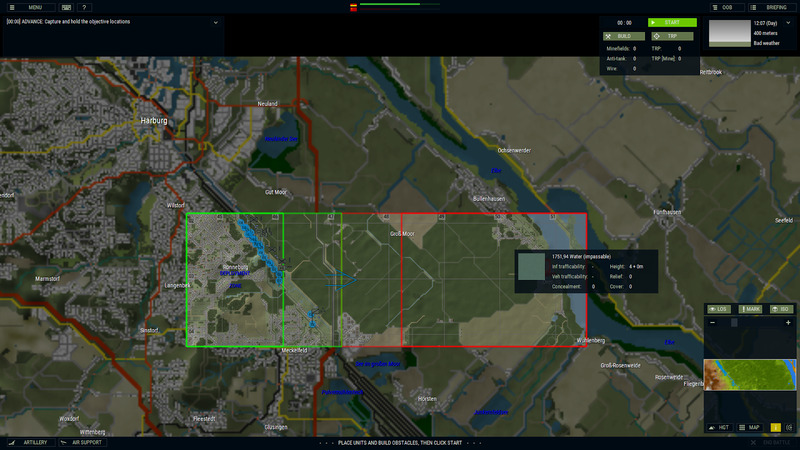 Maybe we can call these games wargames played in realtime, WPIR instead. Visually the game is a wargame sort of in the mold of the Close Combat series of games. You can zoom in very far, but you will not see tanks done in 3D. You will see very well done top down views of tanks etc. One great addition is that of dummy objectives. This is a neat addition to the game. So in wrapping up I am happy to endorse the game to anyone who wants my opinion. The only thing I can really knock the game for is not coming with enough scenarios or a campaign.